Simply leaned against the wall, Gaston can accommodate up to 9 pairs of men's shoes or 12 pairs or women's shoes or 16 pairs of children's shoes or…?! The idea and the design for this simple but impressive Gaston shoe cabinet comes from Christian Hoisl & Anneke Bieger who won the Form Design Award in 2004, which is awarded every year during the Autumn Fair Tendence in Frankfurt. 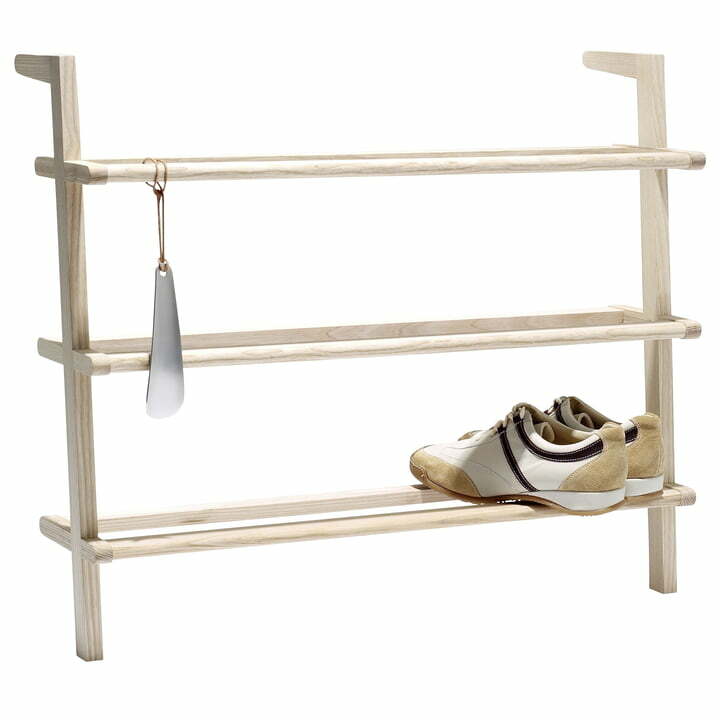 Gaston consists of solid, untreated ash wood and includes a shoehorn made of metal. The shoe cabinet Gaston is manufactured in the Caritas Wendelstein workshop in Rosenheim/Raubling, Germany. It looks great. It says that space for 12 pairs of women shoes but each shoe rack fits 3.5 pairs of women shoes not 4 pairs of women shoes. Untreated ash..Hope it will not get dirty soon. I'm very happy about this product. 109 of 233 customers have found this review helpful. Single image of the Shoe Cabinet Gaston with Shoehorn by side by side. The shoe cabinet provides space for ca. 9 pairs of men’s shoes or 12 pairs or women’s shoes and consists of untreated massive ash wood. 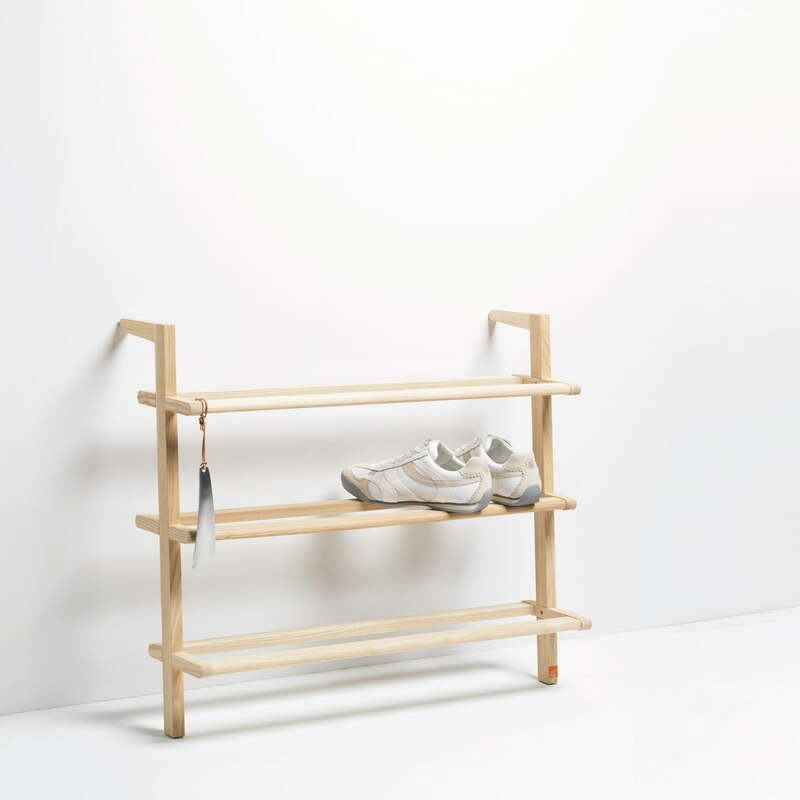 The Shoe Cabinet Gaston by side by side was designed by Christian Hoisl & Anneke Bieger and won the Form Design Award in the year 2004. It can easily be leaned against any wall.